With a handsome white stucco fronted building, is this well presented lateral garden apartment. Accommodation comprises south facing reception room, fitted kitchen, dining hallway, master bedroom with ensuite bathroom, second bedroom and family bathroom. Further benefits include access to a private patio garden (undemised) and extensive fitted storage. Queens Gardens is a popular garden square formed mainly of imposing Early Victorian buildings, and located moments to the recently refurbished Italian Gardens on the north side of Kensington Gardens (Hyde Park) offering easy access to those wishing to cross the park to the sights of Knightsbridge and Kensington. 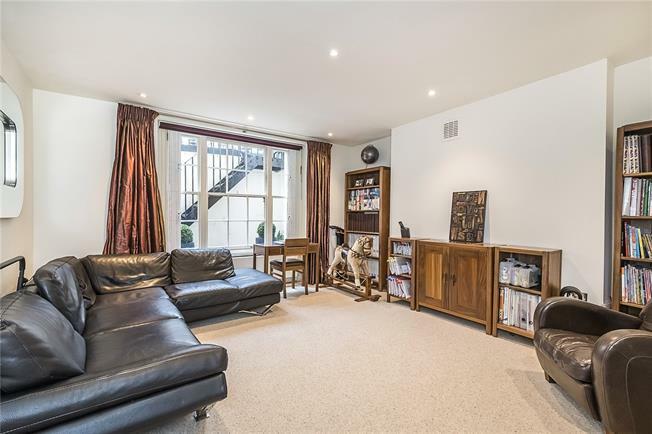 The property is in one of the best connected areas of central London, convenient for nearby transport links at Lancaster Gate (Central Line) and Paddington (Circle, District, Bakerloo and Hammersmith and City, in addition to National Rail services and Heathrow Express). The widely anticipated CrossRail (Elizabeth Line) is due later in 2019, connecting London east to west with a major new hub at Paddington. Motorists enjoy fast access to the national motorway network via the nearby A40. Service Charges are £1700 pa as confirmed by previous owner.